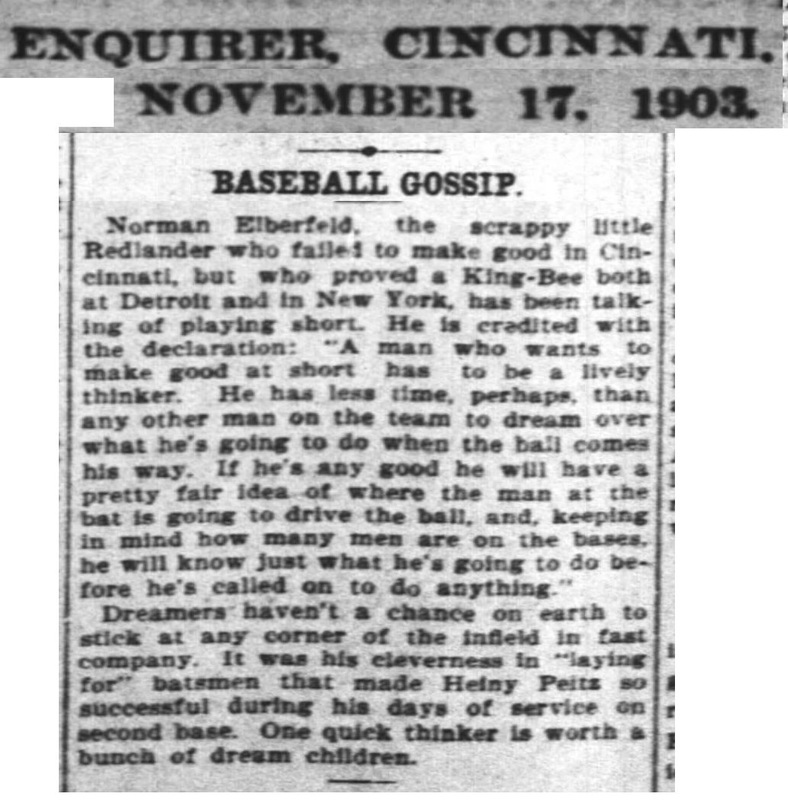 Norman Elberfeld, the scrappy little Redlander who failed to make good in CincInnati. but who proved a King-Bee both at Detroit and in New York, has been talking of playing short. He is credited with the declaration: "A rnan who wants to make good at short has to be a lively thinker. He has less time, perhaps, than any other man on the team to dream over what he's going to do when the ball comes his way. If he's any good he will have a pretty fair idea of where the man at the bat is going to drive the ball, and, keeping in mind how many men are on the bases, he will know just what he's going to do before he's called on to do anything. Dreamers haven't a chance on earth to stick at any corner of the infield in fast company. It was his cleverness in "laying for" batsmen that made Heiny Peitz so successful during his day of service on second base. One quick thinker Is worth bunch of dream children.